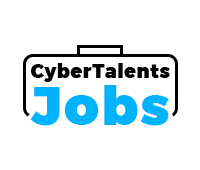 This is an Online recruitment CTF to recruit an Application Security Engineer for a prestigious company based in Cairo. The CTF is testing some of the basic skills that is needed in the job. Top performers will receive a request to send their cvs and an opportunity to set for an interview.<br> Average Salary is between 10,000 EGP/Month - 18,000 EGP/Month based on candidate experience. Candidates must be based in Egypt to apply for the Job.